Application and Expectations Please complete the application each year even if you do not plan to use the program in case you need to use it on an emergency basis. Preschoolers and kindergarteners have the option to participate in After School Care from 12:30-2:40. 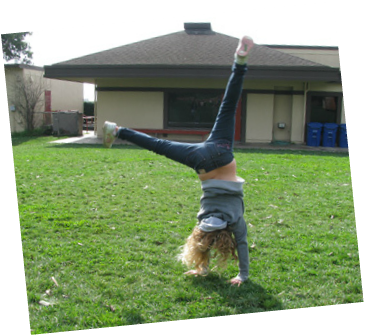 Children participate in inside and outside play separated from older students. The program is led by coordinators Stacey Reynolds (Mondays and Fridays), Martha Gagnier (Tuesdays and Thursdays), and Violy Law (Wednesdays). The cost is $15 per day prepaid or $18 per day drop-in, except for those families receiving scholarships (see next paragraph). Paying families must choose whether to prepay for specific days all year or to use the program on a drop-in basis. Families choosing to prepay will be guaranteed a space in the program during those days, however, they also must agree to pay for the space even if the student is sick or absent. There are NO refunds for prepaid slots, even if the slot is filled by another student. Changes to a student's scheduled prepaid days can be made on a space-available basis with two weeks' notice. Families participating in the tuition-free preschool program have the option to apply for an after care program scholarship. To receive a scholarship, families must explain their reason for seeking longer care, such as the parents’ need to work, attend school, or care for other dependents, or the student’s need for greater exposure to the English language. Students must also have an appropriate level of developmental maturity to attend a longer-day program. Families receiving after care scholarships attend for free. All students must be signed up for the program in the After Care binder in the office. Enrollment is limited to 12 students per day and the program is often full, so drop-in space is not guaranteed. If you have signed up but your student will not be using the spot, please notify the office so another family can take the slot. Families will be invoiced monthly by email and should pay promptly. ﻿Application and Expectations﻿ Please complete the application each year even if you do not plan to use the program in case you need to use it on an emergency basis. The hours for the recreation program are 2:45-5:30 Monday, Tuesday, Thursday, and Friday and 1:00-5:30 on Wednesdays. Fees for Monday, Tuesday, Thursday, and Friday are $5 if picked up by 3:29 p.m. and $10 if picked up between 3:30 and 5:30 p.m. Fees for Wednesday are $10 if picked up by 3:29 and $15 if picked up by between 3:30 and 5:30 p.m. Students must be signed up for the program in the Recreation binder in the office. Parents MUST sign students out each day. Please notify Jerry of changes to a student's schedule. Pacific School works with the Davenport Resource Service Center to offer tutoring/homework help after school to qualified students. Students who qualify for free or reduced price lunch may participate in the after school recreation program free of charge between dismissal from school and the beginning of their tutoring appointment. Tutors work with students on homework, reading, English language, and other skills as needed. Students are expected to stay for their entire tutoring appointment each week, regardless of whether they have completed their homework. Pacific School is very grateful for efforts of the Davenport Resource Service Center, which make the tutoring program possible. 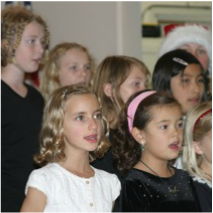 Pacific School offers chorus after school for interested students in kindergarten* through sixth grade. Under the leadership of Music Teacher Kristin Allen-Farmer, chorus students learn a diversity of engaging songs, including rounds and some work with percussion instruments. Chorus meets after school on Thursdays, from 2:45 to 4:15. All students receive a snack. Chorus participates in various musical performances throughout the year, both for the school community and occasionally in the larger community for charitable venues such as nursing homes. Chorus is free for students who qualify for free or reduced price lunch and $100 per semester ($200 for the year) otherwise. However, tuition is meant to offset costs, not to discourage any student from participating. Chorus is open to all interested students regardless of ability to pay. All interested students are encouraged to come to the first few classes of the semester to determine whether chorus is right for them. *Kindergarten students are dismissed at 12:30. If participating in chorus, kindergarteners must either be enrolled in After Care (see above) or be picked up from school and returned between 2:45 and 3:00.